1843 Pigot’s & Slater’s : Borough Police Force Corporation of Manchester Capt Edward Wallis: B Division Supt. Charles Stephenson. May 4th 1843 Chief constable request repairs to the roof and outside. June 29th 1843 Extensive report as to the poor condition of the ventilation, damp cells, cramp parade room and lobby and nuisance caused by the water closets and poor drainage which cannot be remedied effectively. Fixing the heating £43 and some repairs £11. July 6th 1843 Cost of connecting the water closets to the nearest sewer in the nearby streets would be met from the Borough fund at the shortest route. Feb 28th 1845 Coroner’s verdict as to death in custody. 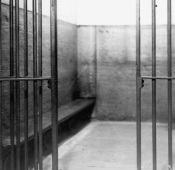 Cells were cold and ‘bad’ and needed wooden boards to prevent damage to incapables lying on the floor. Jan 2nd 1846 WC to rent the yard for £15p.a. Aug 6th 1846 CC unable to take up use of the rear yard as the Lamp and Scavenging Committee had neglected to move the manure. Sept 3rd 1846 CC reports the manure removed and the yard needs levelling and gravel. Improvements to the ventilation required. 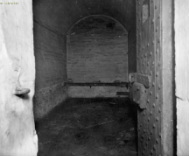 Feb 22nd 1848 HM Inspector’s report for Sec of State Home Dept into improvements requested to Lock-up accommodations – light and ventilation improvements as explained to the C.C. Feb 6th 1851 Lancs & Yorks Railway Co : station and yard to be sold to them. No objections raised so long as they provide similar quantity of land and erect an enclosed station to the plans approved by the WC. Noted adjoining land and streets already closed off and railway sheds erected. Aug 7th 1851 Agreed with L&YRC position of land proposed in exchange was eligible [off Livesey Street]. Oldham Road 998 sq. yds. New 1776 sq.yds. L&YRC to pay £1596.10.0 for site and streets taken and provide new site. Nov 6th 1851 Oldham Street Station to surrender as much land as possible directly to L&YRC whilst the new premises designed and built to move police Station to Livesey Street. April 20th 1854 Mention of officers now residing at Livesey St signals the end of Oldham Road Police Station which is demolished for the L&YRC.